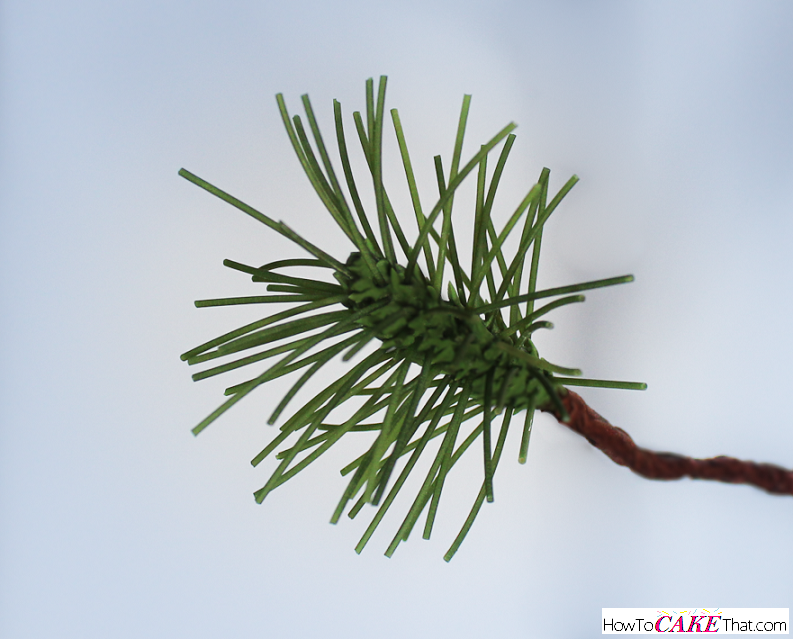 For those of you who purchased the pine needle tutorial, thank you so very much!! Your support means a lot!! Now it's time to add the bark to the tree. 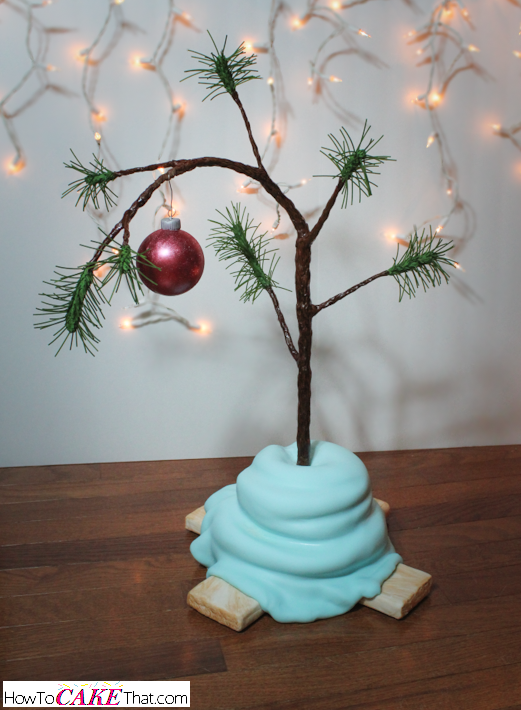 Brush the tree with a little piping gel. Here I have colored fondant brown using Wilton gel color in Brown. 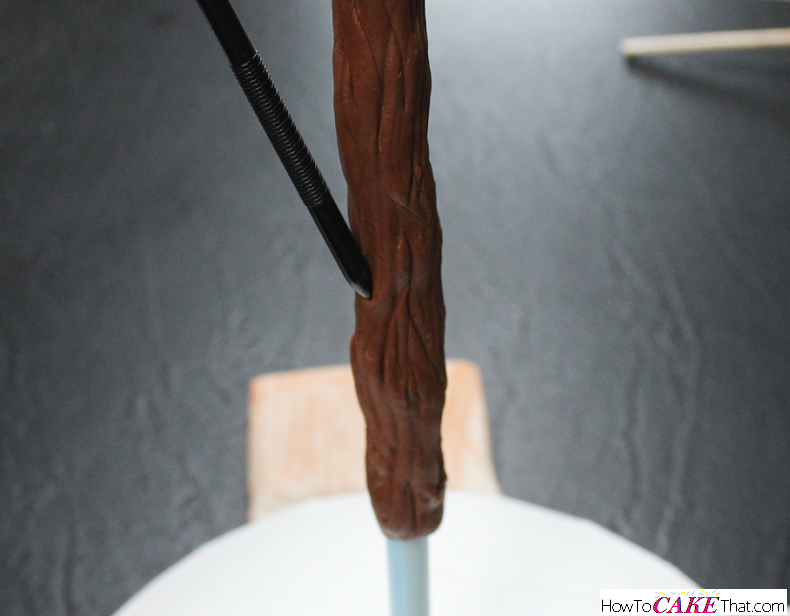 Wrap the tree trunk in brown fondant. Then add texture to the tree by drawing lots of long wavy lines in the fondant. Work in small sections at a time. 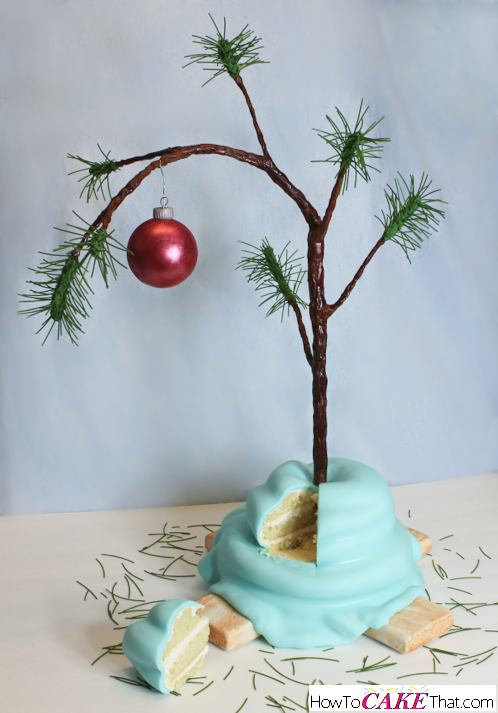 Add fondant, then add texture, then add the next piece of fondant to the tree. Don't forget the branches as you work your way up the tree trunk! 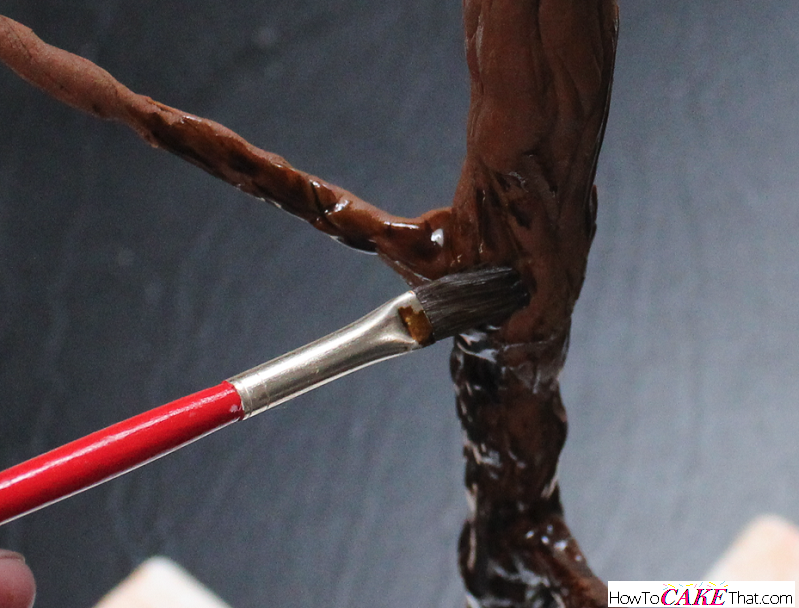 Next, I created a nice very dark brown paint by mixing Wilton gel color in Brown and vodka and painting the trunk and branches of the tree. Now it's time to add the cake! 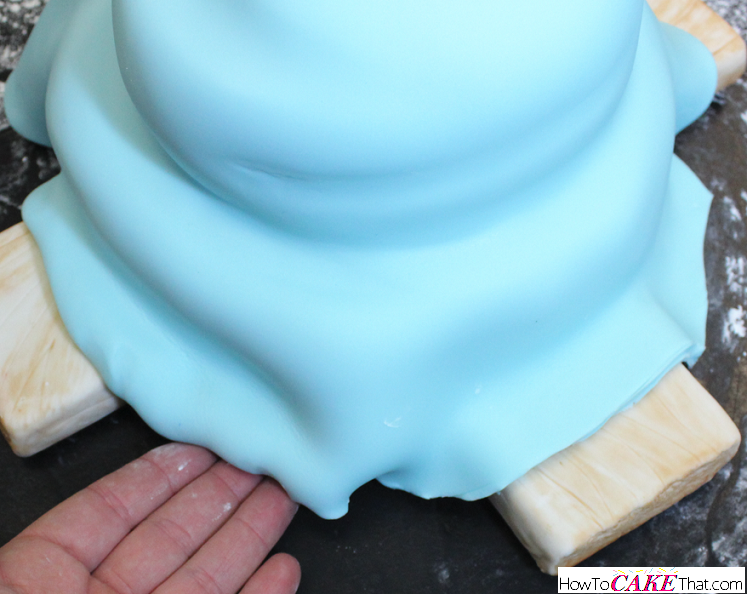 Smear a little buttercream onto the cake base. 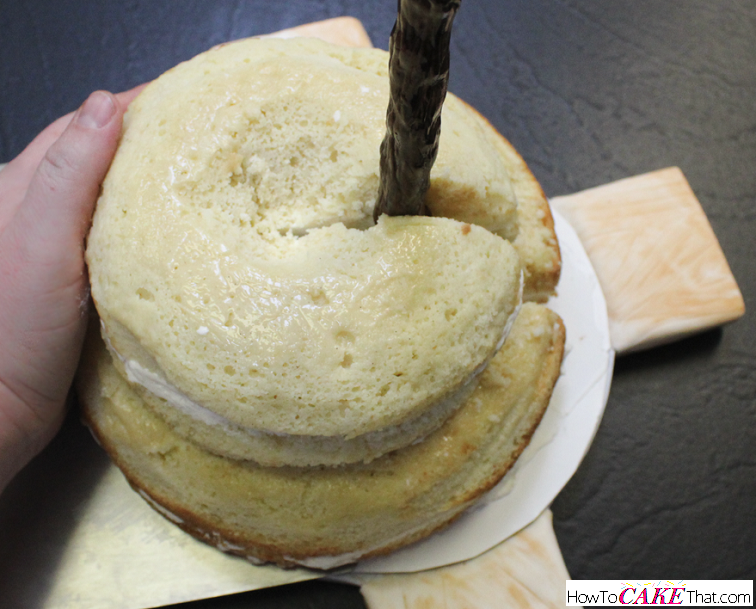 Use a large knife to cut down through 1/2 of the cake. This will help fit the cake around the tree trunk. Slide a Wilton cake lifter between the cake and cardboard round to remove the cardboard round that the cake was sitting on, then lift the cake using a Wilton cake lifter and slide the cake onto the cake base. 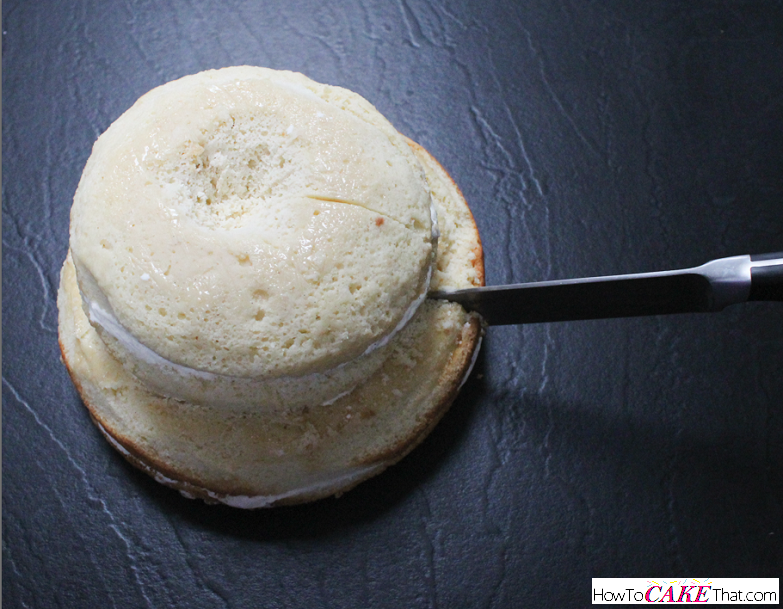 Use a small spatula to frost the outside of the cake. Be sure to pay attention to the areas where the cake was carved. Next, I colored a good amount of fondant light blue using Wilton gel color in Sky Blue. Then I rolled it out into a thick round disk large enough to cover the cake. Then I used a knife to cut a slit in 1/2 of the circle. 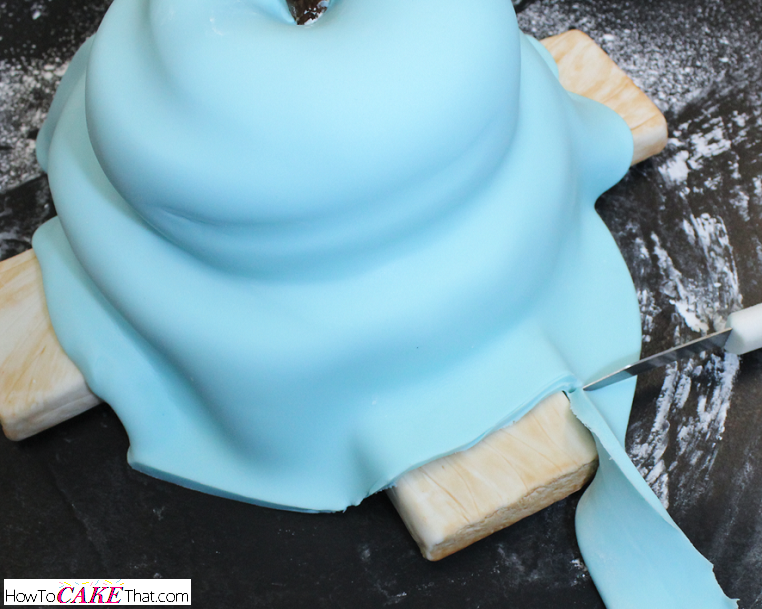 You will want the fondant a little thick so that it has a little room to stretch as it is shaped around the cake. 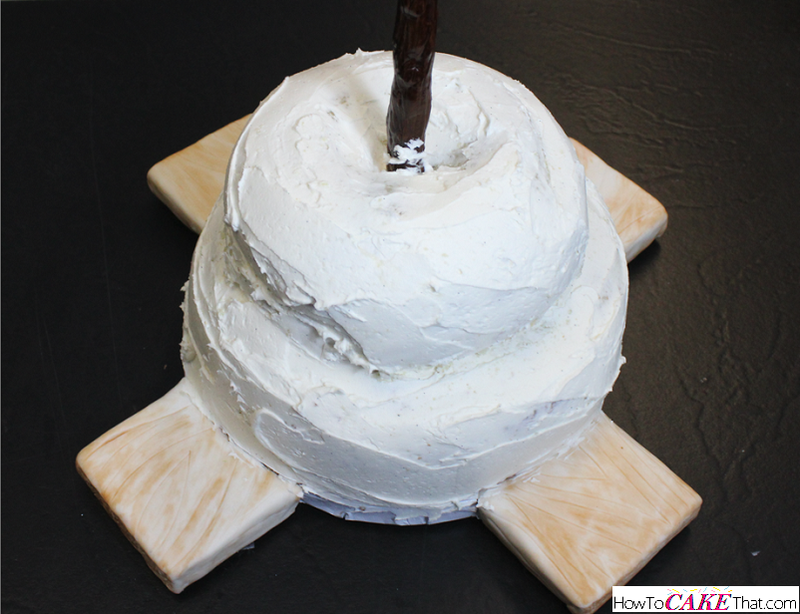 Lift the fondant and wrap around the cake. 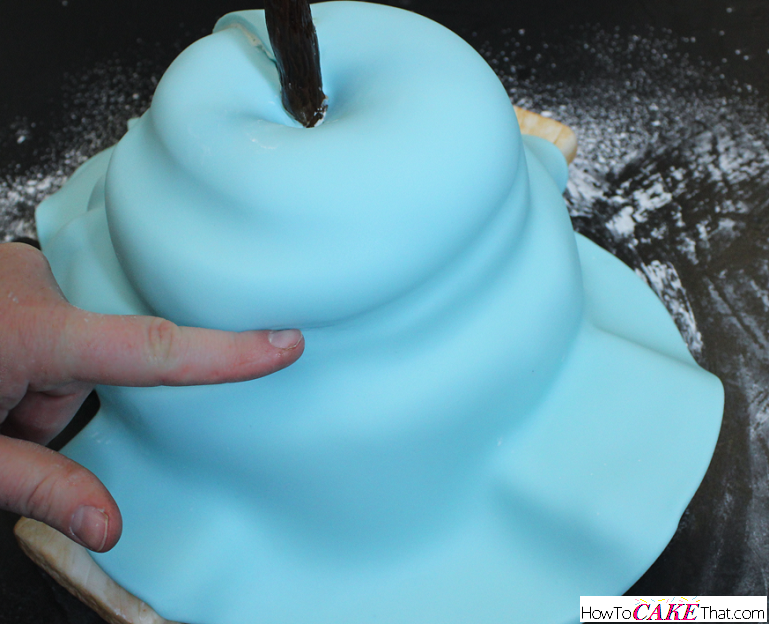 Use your hands to smooth the fondant down over the cake. 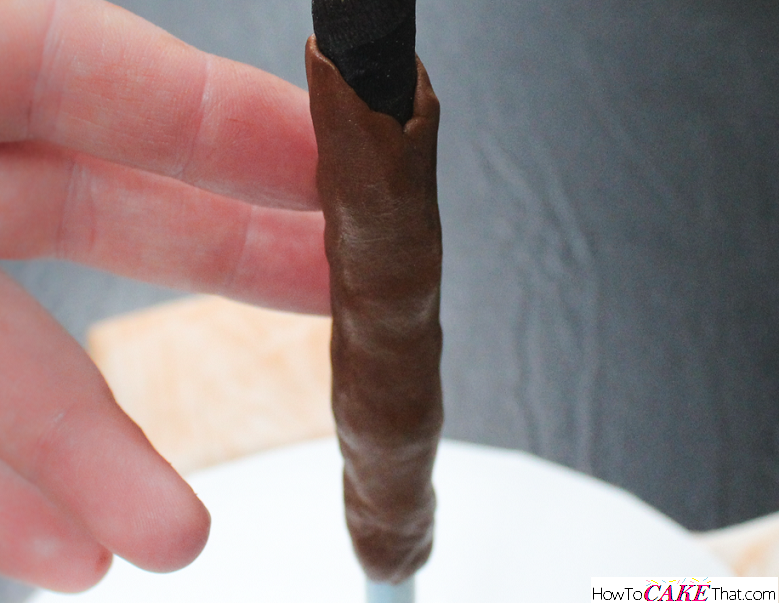 Then I used the side of my index finger to smooth the fondant down into the folds. 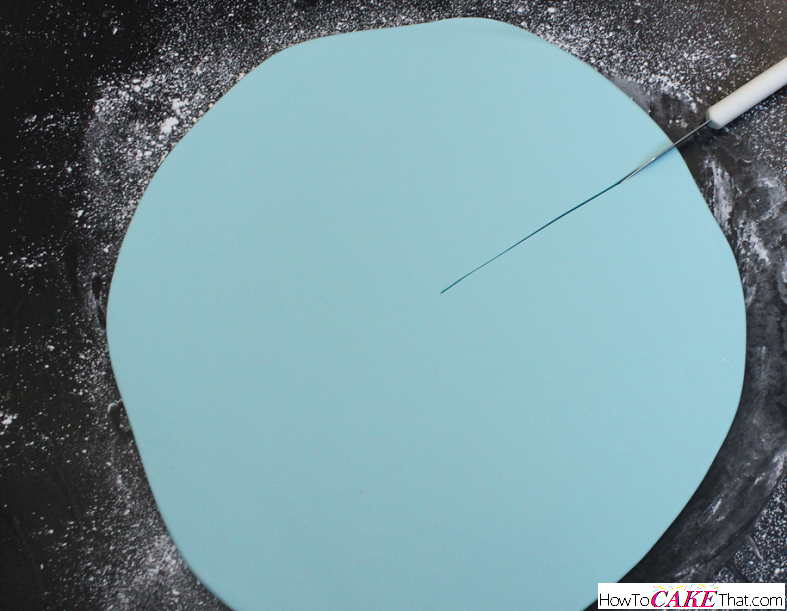 Use a knife to trim away extra fondant, but be sure to leave about an inch of extra fondant around the base of the cake. 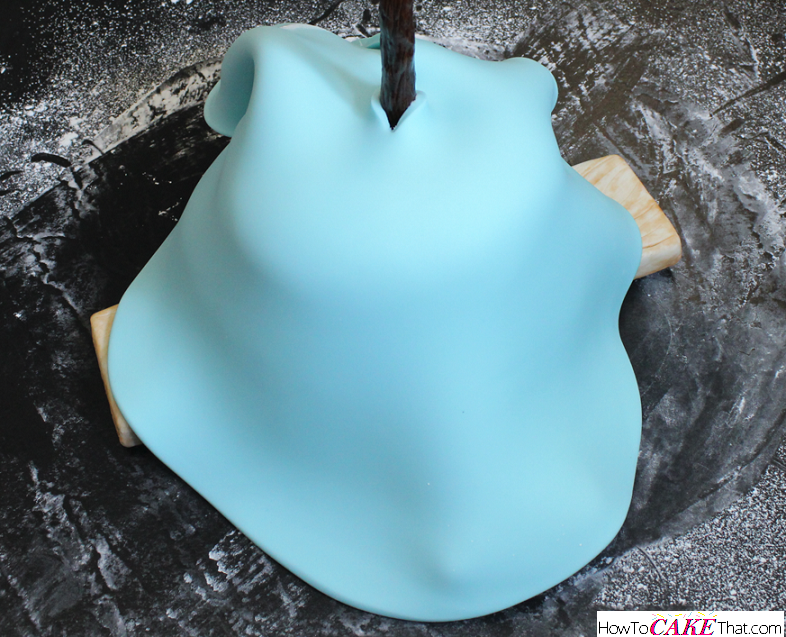 Then fold the extra fondant underneath itself to give the illusion of a nice soft blanket edge. 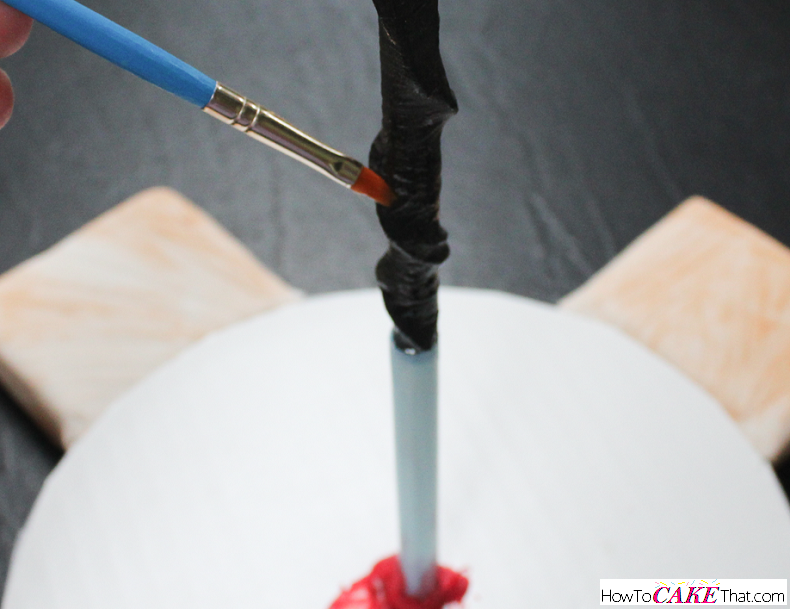 If you are having trouble with the folded edges staying in place, brush the underneath with piping gel to help it stick. 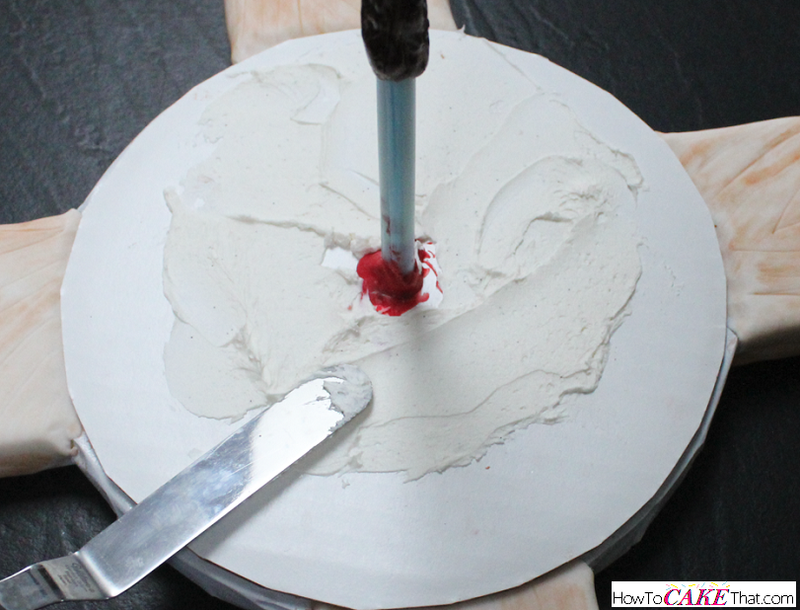 Use an Xacto knife to trim away the extra fondant on the back of the cake. 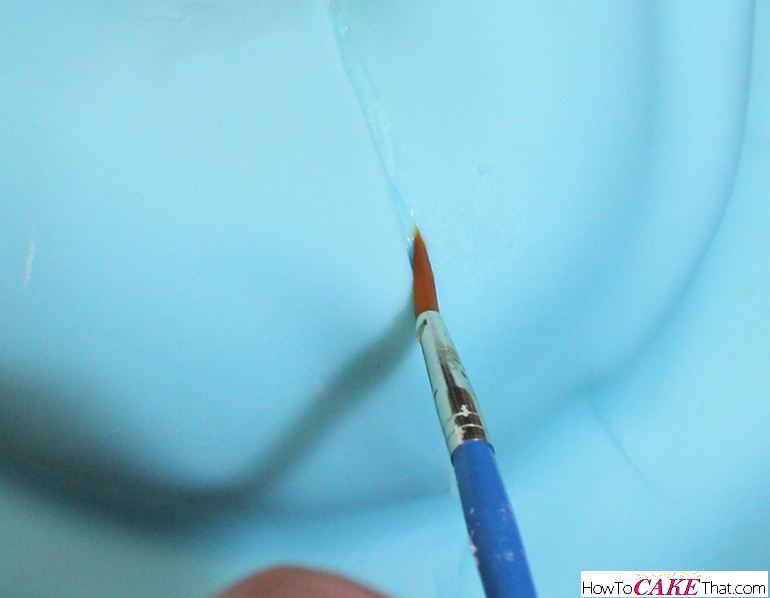 Use a brush to paint on a little water to help seal the fondant together. And for the very last and final touch!! 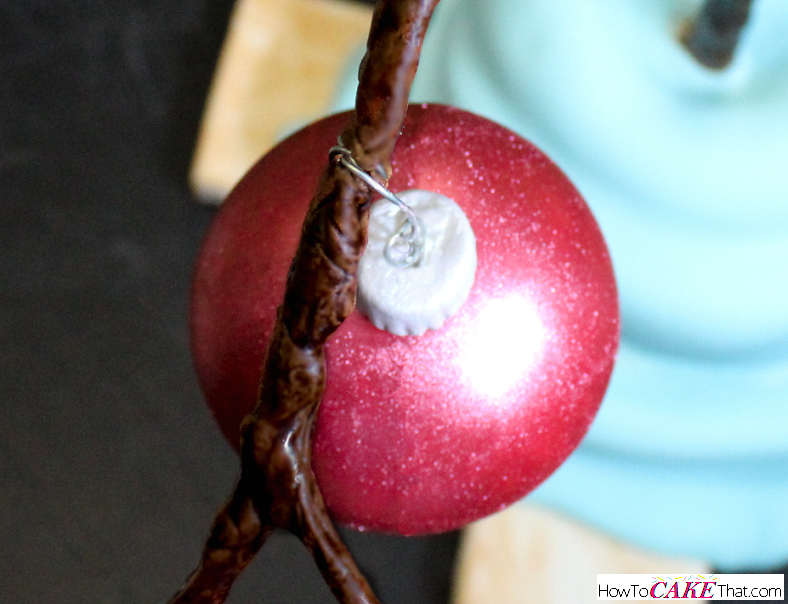 Wrap the ornament wire around the tree 2 or 3 times and trim the leftover wire. Merry Christmas, and God bless! !